Unipro present some of the best quality products in the business, they're always hard pressed to present innovation and accurecy, because of this they will always strive to produce a product that is built with maximum care and attention to detail, take a quick look at our products page and see if you agree. Unipro provides a system with selection of sensors that you can fit to measure practically any parameters of your kart, these options are completely up to you and for the most part can be added later to your system to make it into everything you want it to be, take a look through some of the sensors for options availble, theres also a wider array of sensors availble that can be ordered if you should wish. From day one, Unipro have been all about developing products to make the life of a driver more simple, while adding the maximum amount of technology to give you the best results, with accuracy being key and products constantly in development and always searching for areas of improvement, we believe Unipro keep their promise to make you Go Faster, Faster. 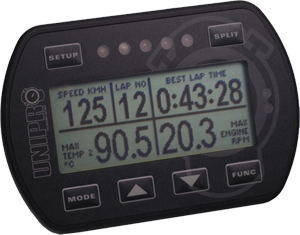 Welcome​ to the home of Unipro Laptimer in the UK. Here you'll find all the tools at your disposal to be able to go faster, faster. With ease of use technology and the extremely simple to work software our 3005, 5005 and 6005 systems present, all you need to know, in one handy place. 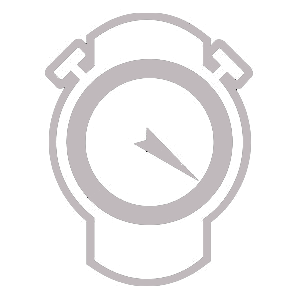 We also have a great stock of stopwatches and the most advanced pressure gauge on the market. Have a browse through the site and see what catches your eye and then give us a call on 01636626005 or e-mail info@kartune.co.uk to get your quote. Any other information required please don't hesitate to get in touch.